Psychological First Aid: October 10th marks World Mental Health Day, created to raise awareness of mental health issues around the world. 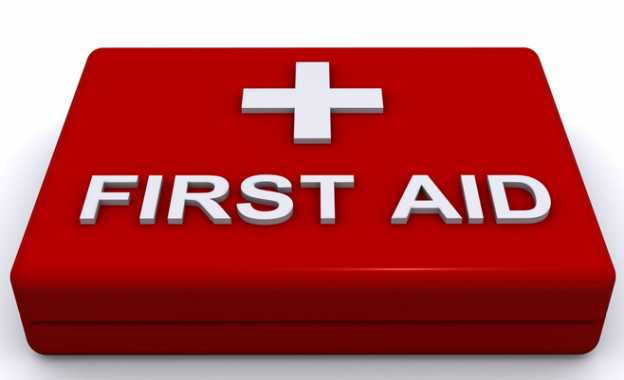 This year's theme is "psychological first aid," deemed Equally Important as physical first aid. Key messages that will be conveyed during the day include the importance of providing a framework on how to provide psychological first aid and respond in a natural way. First look if there is a need for psychological first aid through the outward appearance (what you see or hear a person says), or because you have heard of their stressful circumstances. This will differ depending on your particular relationship with the person. For example, if the person does not know you, maybe you should present yourself accordingly. While you're "acting" in a conversation over the Internet, you must have had some sort of experience with introducing you the person or through a person in common. Establish links means acting in a way through which it is clear that you focus completely on the person you are trying to help. Acts of common courtesy as helping a person with his coat, simply give information or simply act amicably and can make you feel comfortable accepting a person. Through behavior shows you care about the person and you're respectful. Care should be taken with the physical contact. This also depends on your particular relationship with the person. If you do not know the person well, you should wait to see if it touches your hand or arm. A brief and gentle touch on the hand or arm can provide reassurance and warmth. When they are important, for example, it provides water or food, a place to sleep, and ways to maintain communication with support systems. Let people talk whatever they want, but do not force yourself to have more of what they want to tell. Sometimes, all a person needs is an opportunity to "let off steam" or share their feelings or frustrations. The phrase "everything will be fine" is not realistic. But phrases like "I regret what happened," or "I understand how you feel" can help people to see their reactions as normal. Tranquilizes assuring them that their resilience can help them get ahead. Behaviors are learned face difficult situations with our experiences of life, which are unique. We all have our own ways and strategies to cope with difficult situations. Some are positive and some do not help much. Relate means not only connect with loved ones who are on a mission, but also with other existing or new social groups. Share relevant information only if you know it's accurate; otherwise, you seek another source. There are several resources for information and services that serve as support for the families of military personnel. This depends on the circumstances and your relationship with the person. However, you should let the person the impression that you care, but you may not see it again.